A castle town, Matsumoto possesses one of the best-preserved feudal structures in the country, and maintains its historical attractions and traditions while simultaneously exuding a modern, cosmopolitan charm. Folk museums and ancient temples complement the atmosphere established by the castle, backed up by the picturesque views of the Japanese Alps available throughout the city. Eateries both modern and traditional serve "soba" (buckwheat noodles) dishes, for which Matsumoto has become known. "Onsen" (traditional Japanese spas) dot the landscape surrounding the town, and represent some of the main focal points for hikes during Matsumoto holidays. Matsumoto is in Nagano Prefecture. 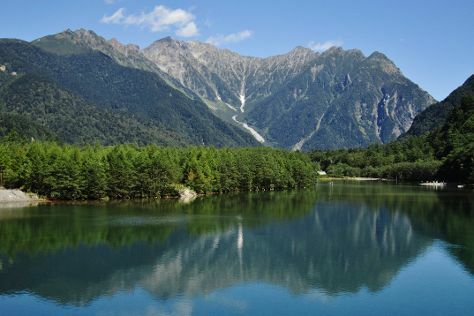 Plan your tour of Matsumoto and Japan travel itinerary using our Japan travel route planner.